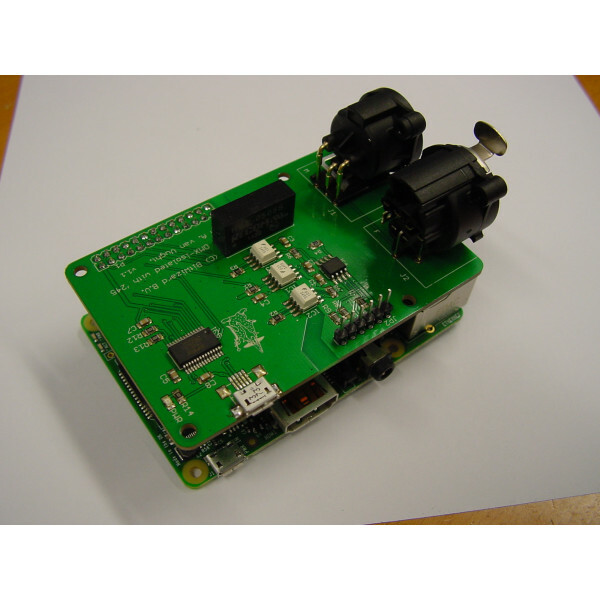 Raspberry pi DMX interface with usb (FT245RL). Designed and developed in cooperation with Arjan van Vught. Works with Raspberry Pi, Raspberry Pi 2, Raspberry Pi 3 & Raspberry Pi Zero. The board is also supported by Q Light Controller+ (QLC+) ! In contrast with the simpler DMX interface, this board has an FT245RL chip on board. 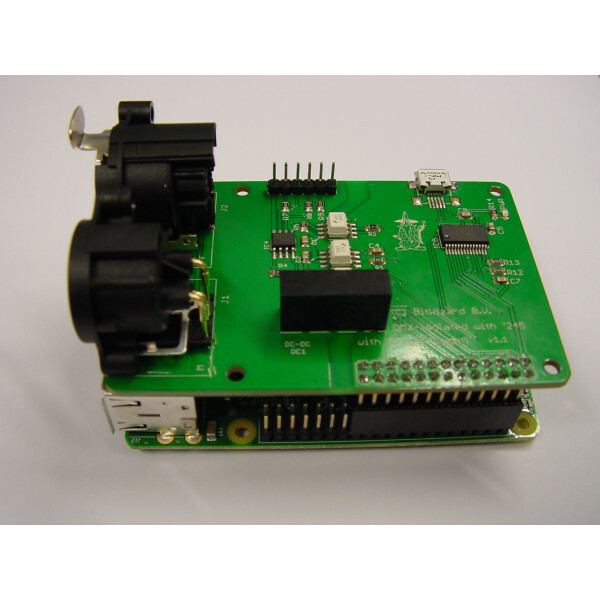 This means that you can use your raspberry pi as an "embedded microcontroller", that handles the DMX traffic (RX and TX) and presents an interface towards the host on the other side of the USB cable. 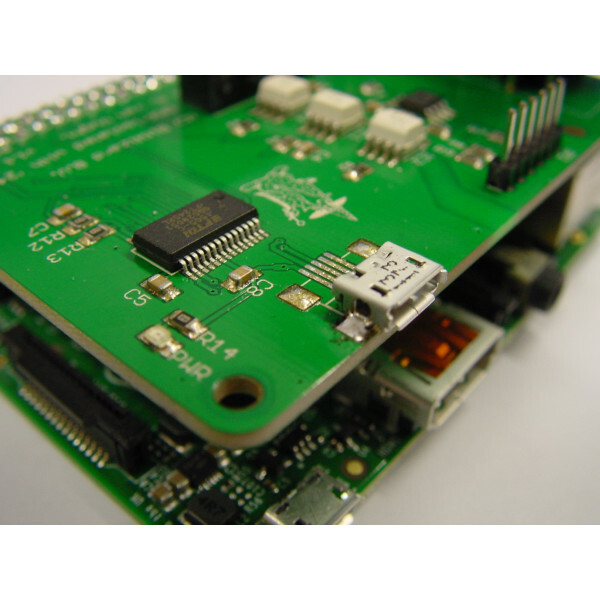 With Arjan's software linked above, the combination will emulate a certain commercially available USB DMX dongle. The board will have a short connector soldered to the board. This allows you to mount it on a raspberry pi model A (that includes A+). 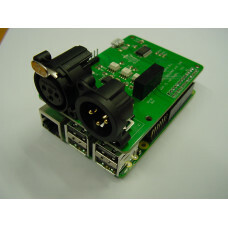 We provide you with an extension connector to mount it on a raspberry pi B. (in the past you had tell us which one you'd want). When you select "for zero" we will leave that connector unsoldered. We provide you with a female 2x13 and a male 2x20. If you want you can then solder 2x13 of that male connector on the topside of our board, and the female on the bottom of the zero. Or you can put the 2x20 on the raspberry pi bottom and the female on our board. Or you can mount it in the classical way with the male headers on the top of the zero, and the female on the bottom of our board. Whatever you like! Check out the beautiful case we've designed for this product!